FULL SETS OF ALL 12 POSES- ONLY A FEW LEFT- SO THESE MAY BE THE LAST!!!! Marx MXR128A reissue U.S. western cavalry on foot. 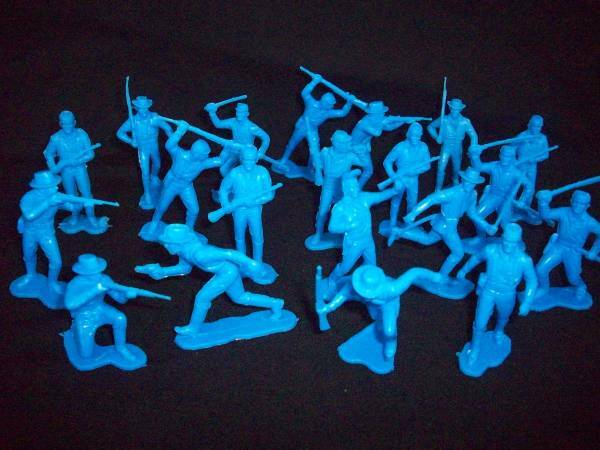 Medium blue 25 figures in all 12 poses.Some of the officer running may have short casted sword. ALMOST GONE_ NO LONGER AVAILABLE FOR RESTOCK!